The team at AGS Payroll UK have been involved in the Payroll Industry for over 35 years. We are a professional organisation using software approved by HM Revenue & Customs and with a proven track record of helping businesses and organisations in the UK with their payroll needs. Whether you require payroll for a charity, hotel industry, SME, schools or larger organisation we have the skills and resources to meet your needs. Just think of us as your payroll department! Find out more information on our payroll services, including detailed payslips and payroll reports, PAYE/NI deductions and statutory payments. We offer a comprehensive payroll solution to UK businesses and organisations. Take a look at our payroll services to see what we can offer you. Outsourcing your payroll to a professional, established Payroll company can offer your organisation a number of benefits. By freeing up staff time and resources and ensuring you needn’t worry about software updates and HM Revenue & Customs legislation, you can focus on your business and leave the payroll to the experts. Discover more benefits to outsourcing your payroll to AGS. The revised Construction Industry Scheme (CIS) came into force in April 2007 and means that contractors and subcontractors have to comply with special taxation arrangements. Find out how we can keep you on track with the Construction Industry Scheme. 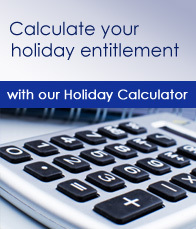 We offer a simple, straightforward payroll charging scheme. We can offer weekly or monthly runs and we believe we offer the most competitive payroll charges in the industry. 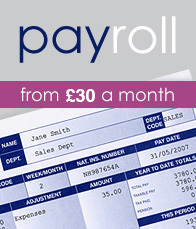 Take a look at our Payroll Charges to see what we mean. AGS offers Payroll services to all types of UK businesses and organisations. Take a look at the industries which AGS has provided payroll assistance to for an idea of how broad our client base is. Whether it's providing payroll on behalf of your firm or working directly with your clients, we can offer Accountants a wide range of quality payroll solutions. Find out more about our solutions on our Payroll for Accountants page.